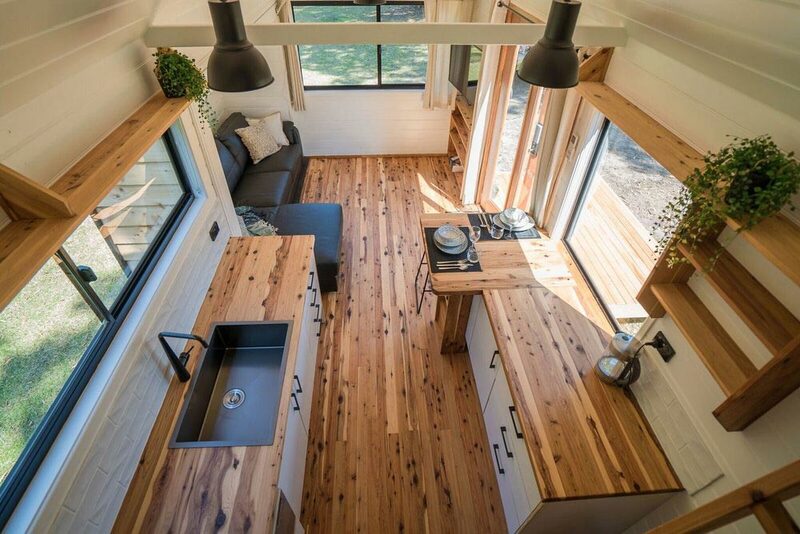 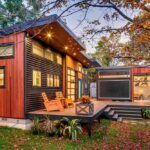 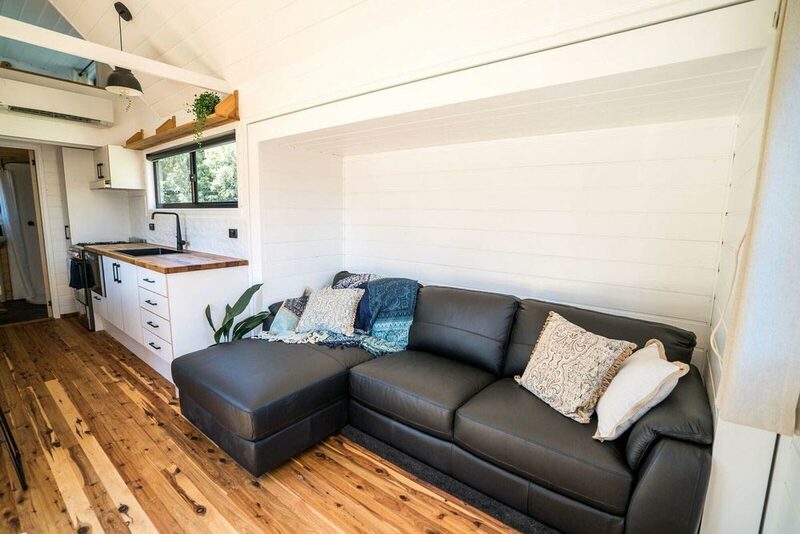 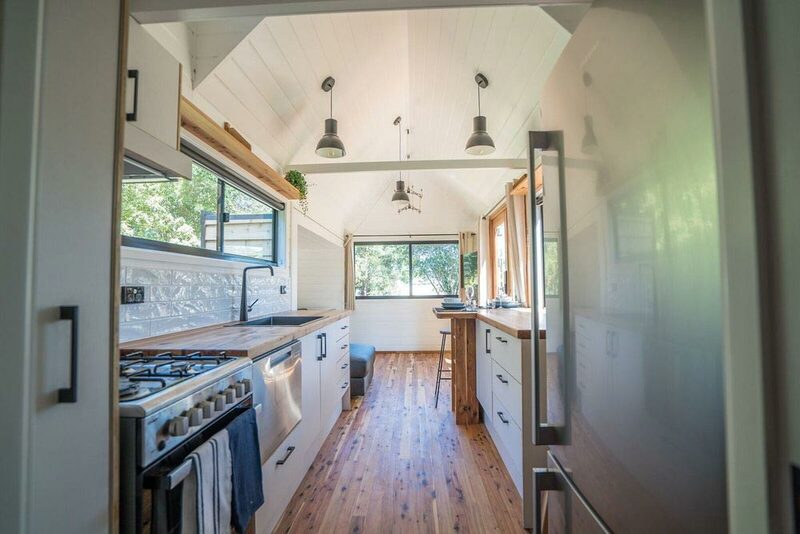 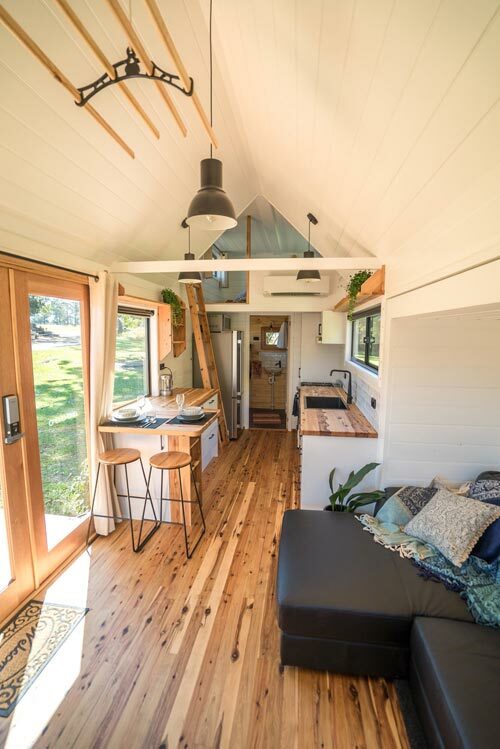 The Sojourner is the debut tiny home from Australian builder Häuslein Tiny House Co. 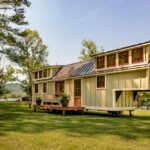 The 8-meter long home features a slide out in the living room, keyless entry, and high end craftsmanship throughout. 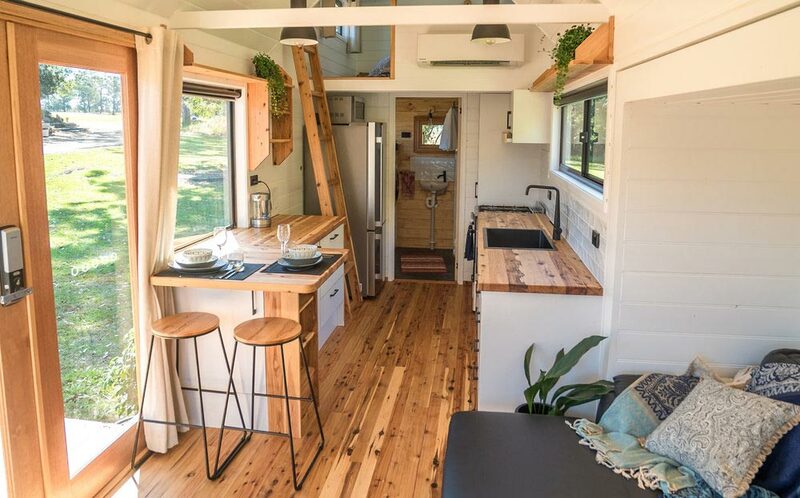 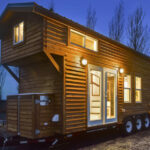 The tiny home has approximately 28.5-square-metres (~307-square-feet) of living space. 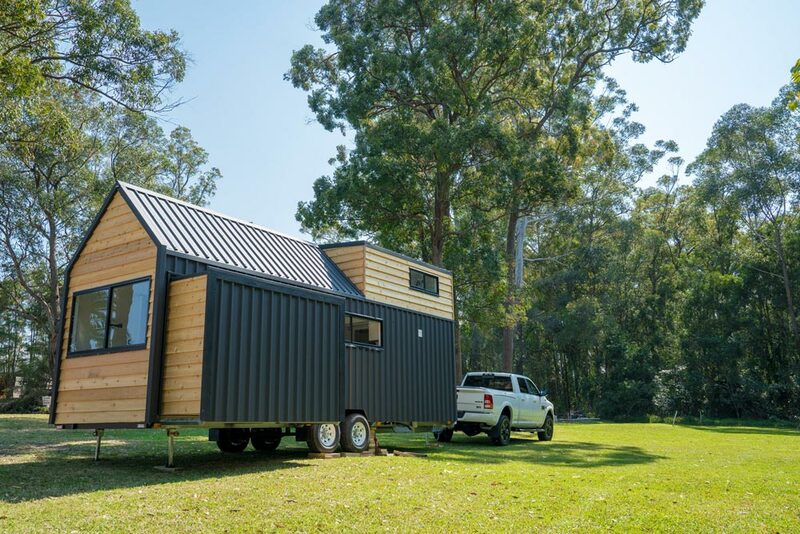 It was built on a 9.5mx2.5m galvanized heavy duty trailer chassis and is registered as a caravan. 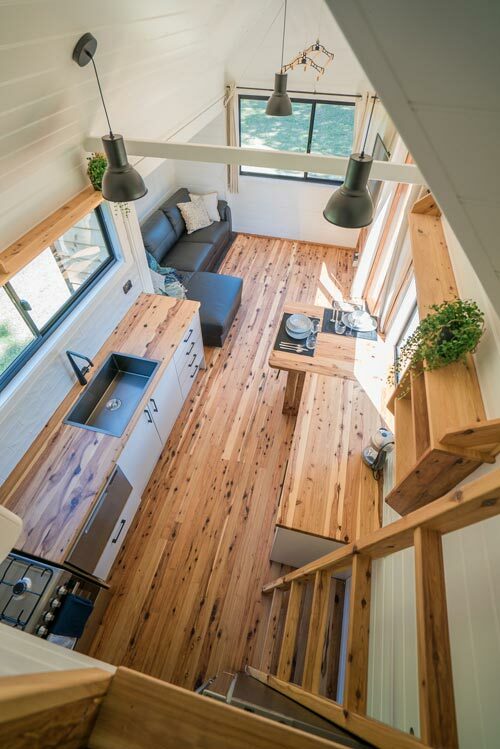 An off-grid package is available. 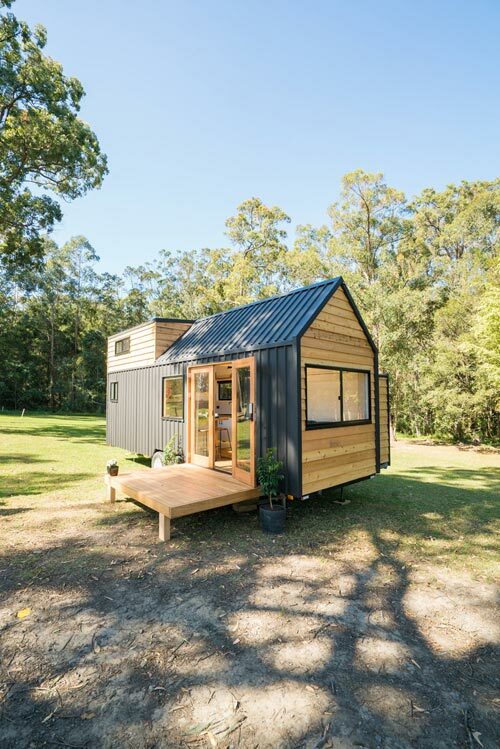 The exterior cladding combines slate matte Trimdek Colorbond steel and western red cedar. 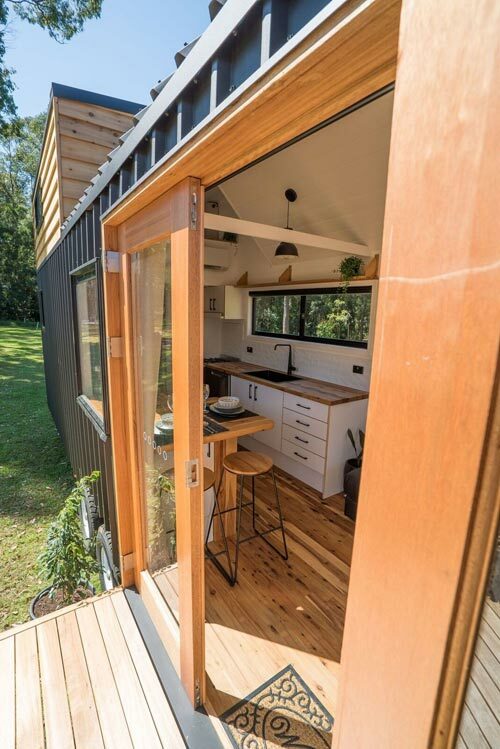 Timber and glass double doors come with a Samsung keyless entry door lock. 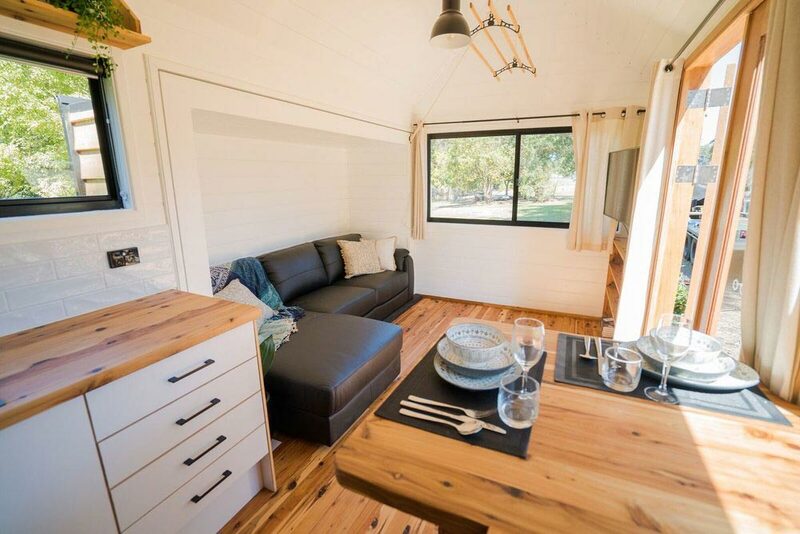 Inside the Sojourner are beautiful cypress pine floors and bench tops. 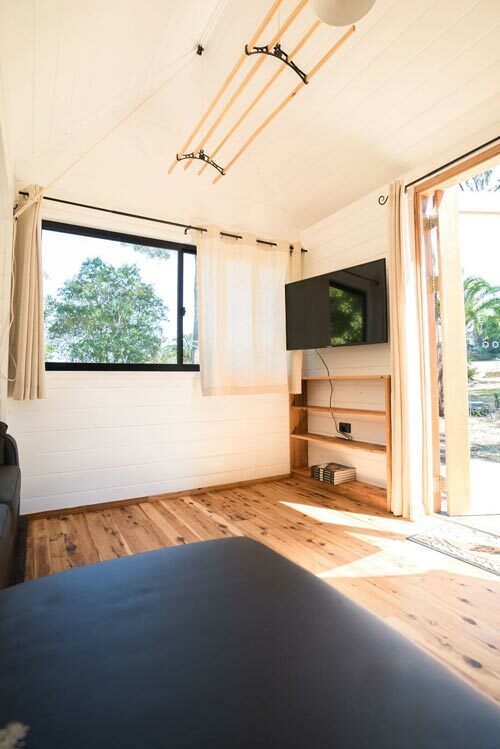 The living room has a black chaise genuine leather couch, 43″ Ultra High Definition TV, and built-in storage below the TV. 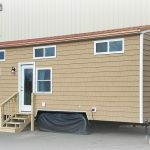 The bathroom includes a corner shower, LG front loader washing machine, wall mounted sink, and flush toilet. 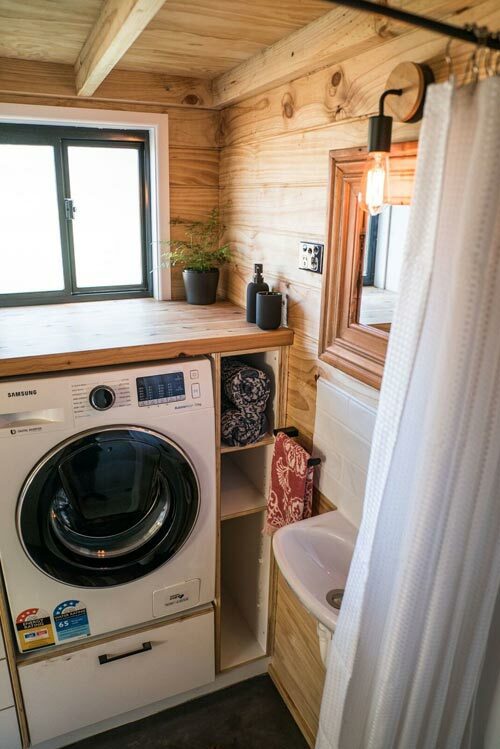 There is also a wardrobe with hanging space and drawers, as well as a laundry chute from bedroom loft to bathroom. 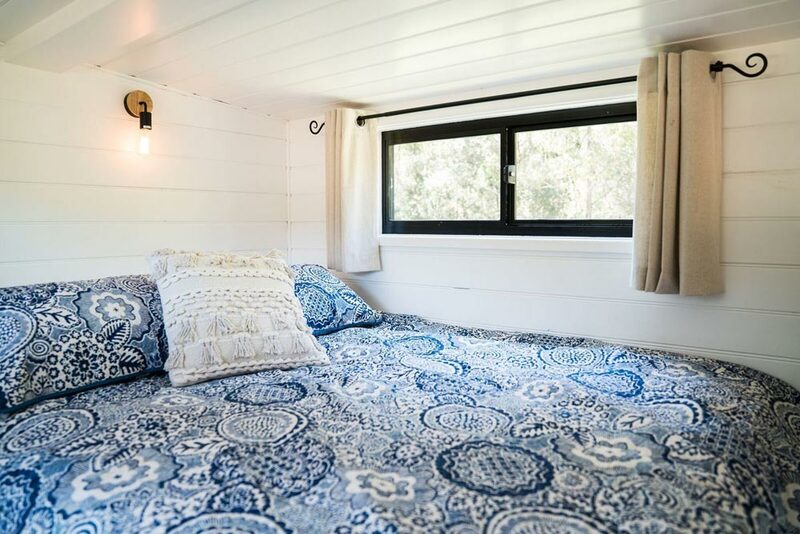 The queen size bedroom has a carpeted floor and ladder access. 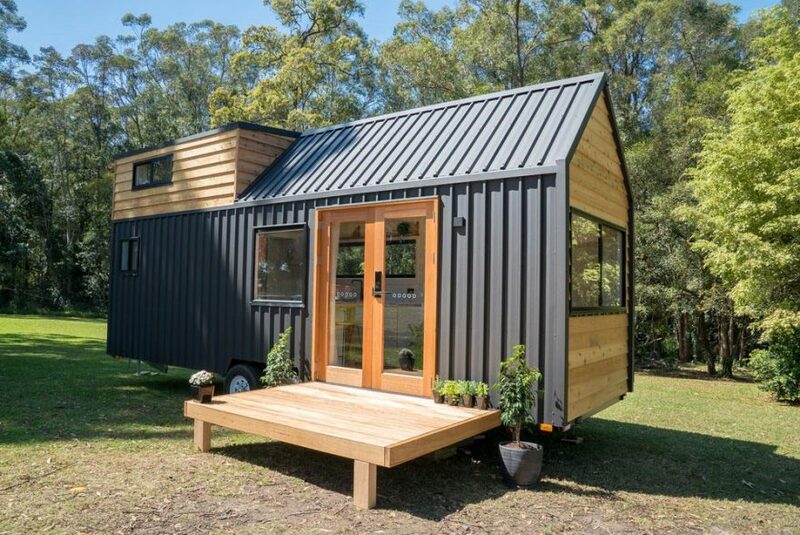 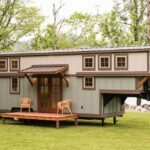 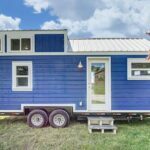 For more details about the Sojourner, please visit the Häuslein Tiny House Co website.